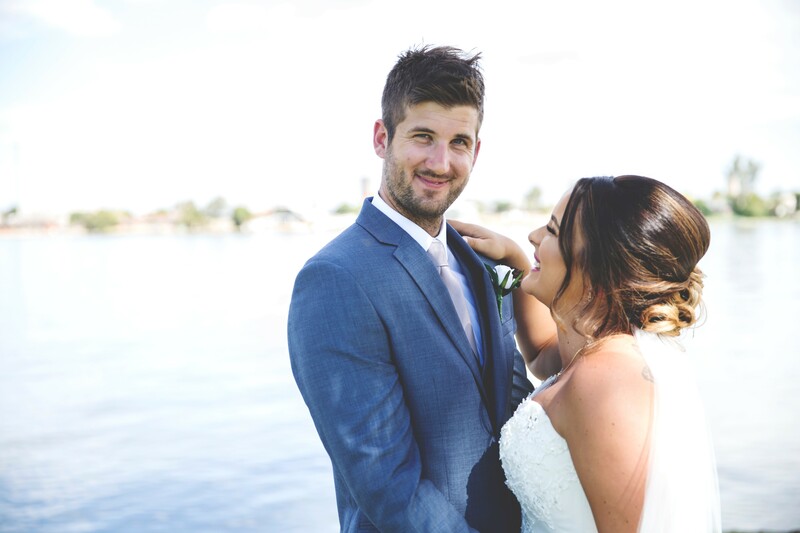 Following a beach proposal in Hawaii, Chantelle Lane and Cameron Pryde travelled to their favourite place in the world to marry, on the banks of Lake Mulwala. 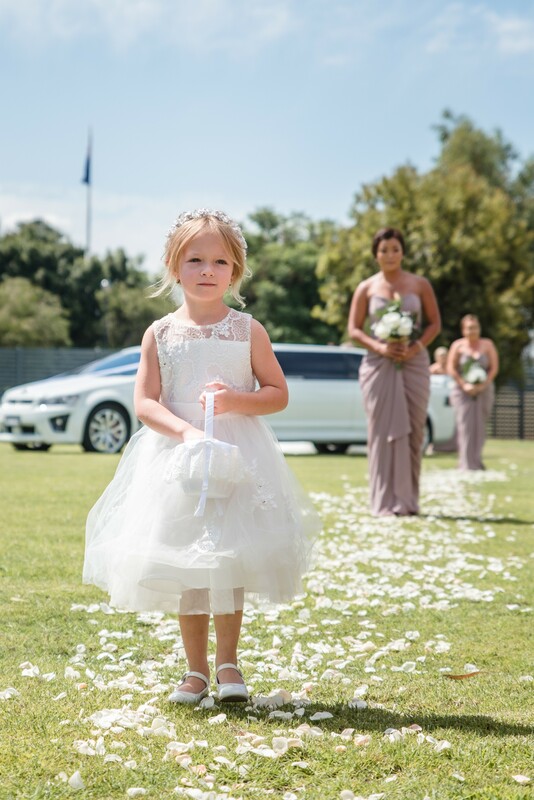 Dressed in a beaded gown and clutching delicate blooms, Chantelle exchanged vows with Cameron and they became husband and wife. Although Chantelle’s Nan, Dawn, had passed away 15 years prior, she wanted her to be a part of her day. Chantelle asked her mum Eileen if she could wear her Nan’s engagement ring. 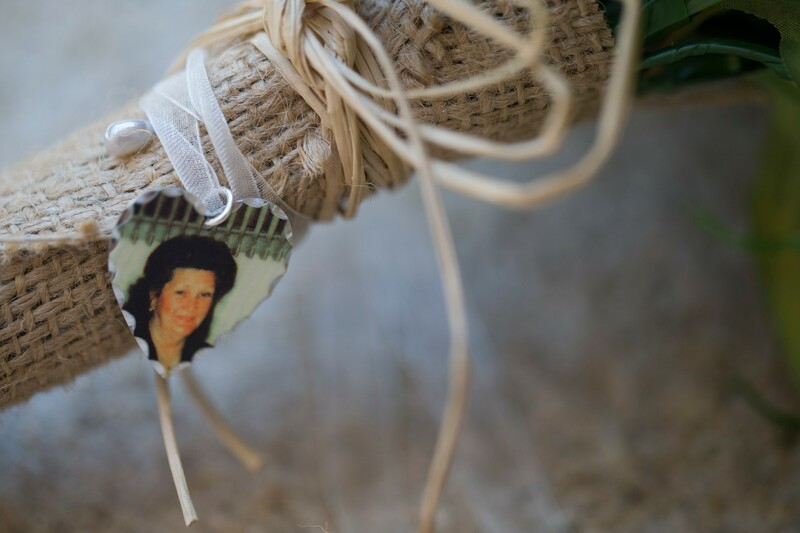 “My mum was so happy for me to wear the ring but she also organised a photo of my Nan for my bouquet and surprised me with this the night before my wedding,” Chantelle said. After looking online for a ring box that their pageboy could carry down the aisle, Chantelle ultimately decided to make her own. 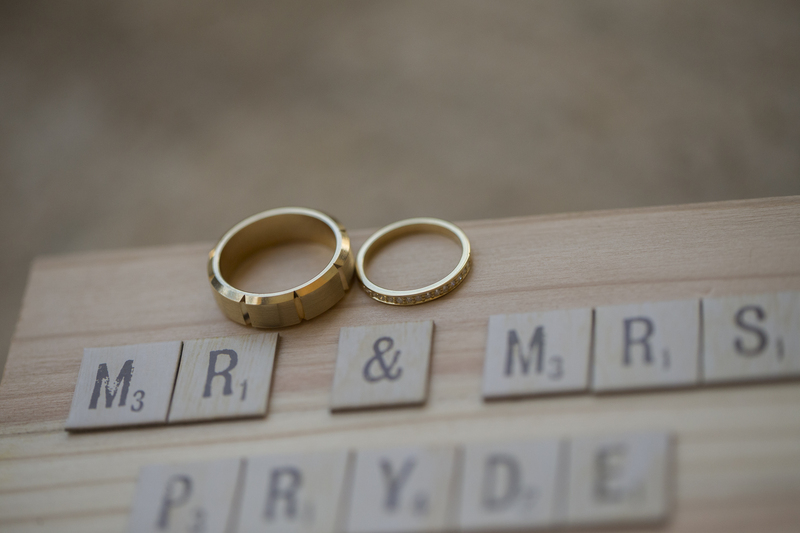 Armed with a wooden box and Scrabble letters to spell out the couple’s married name, the box carried their rings on the day and now occupies pride of place in their home, with other precious wedding memorabilia. 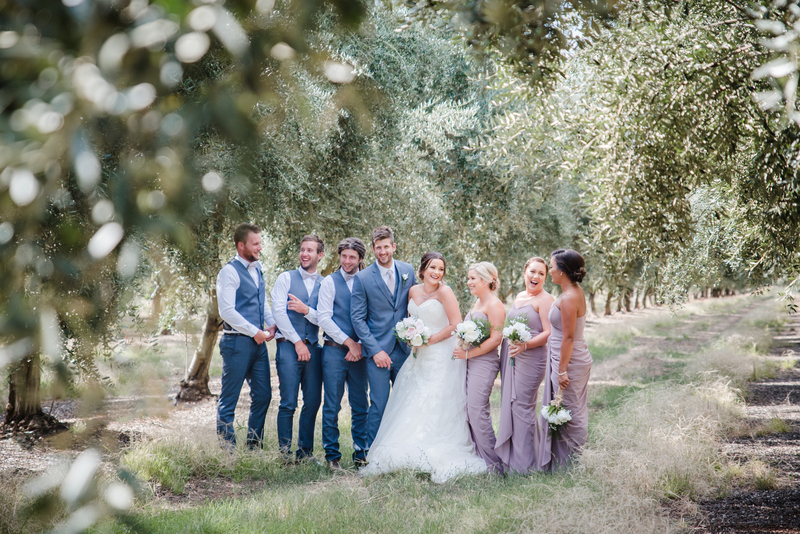 With Chantelle and Cameron first meeting through family friends in Yarrawonga, it was only fitting that they returned to the region for their wedding. 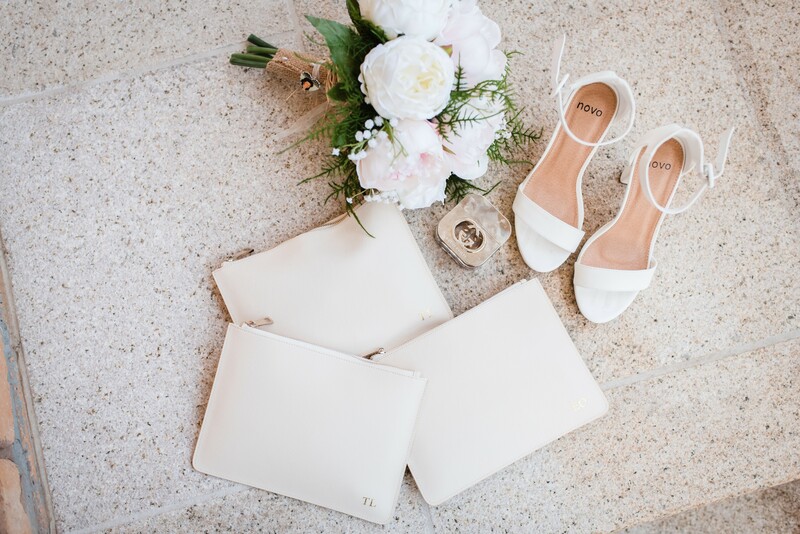 Inspired by the surrounds, the bride knew what she wanted. 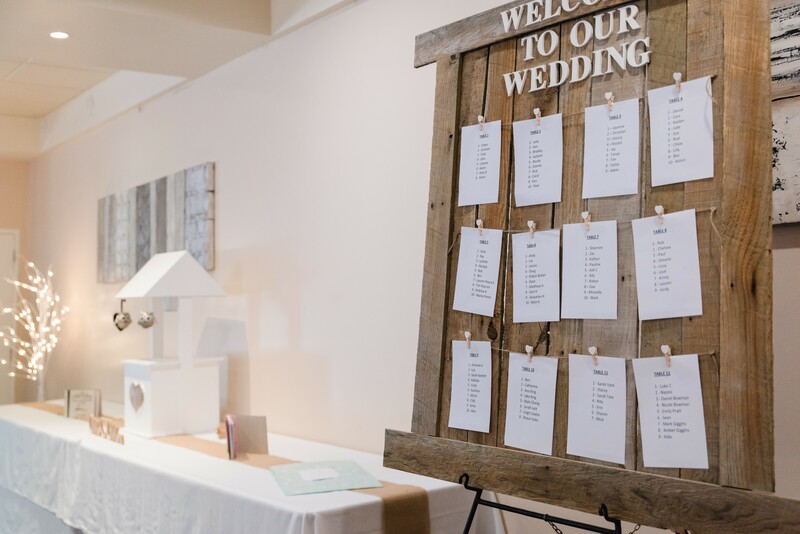 “With the help of my wonderful mum and bridesmaids I ended up going for a rustic style with a hint of glam,” she said. See more photos from Chantelle and Cameron's wedding day over on our Instagram.